The 1st Sergeant always admonished us to read the Bulletin Board at least twice daily. Check here first to "Get The Word" that will have meaning for us all. This page will post current events that may have an impact on our organization and its members; items of current events, of interest and of historical value. 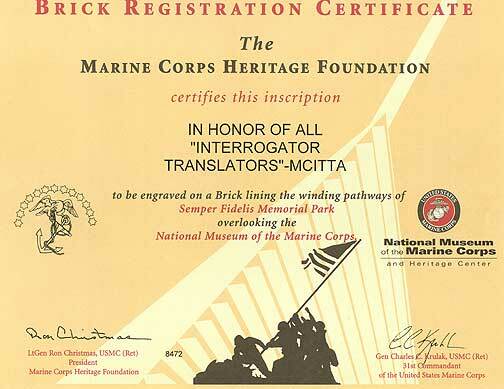 The MCITTA has caused a memorial brick to be inscribed in honor of Marine Interrogators. The brick is located in the winding pathways to the rally points in Semper Fidelis Memorial Park overlooking the National Museum of the Marine Corps and Heritage Center's awesome structure at Marine Corps Base, Quantico, Crossroads of the Marine Corps. 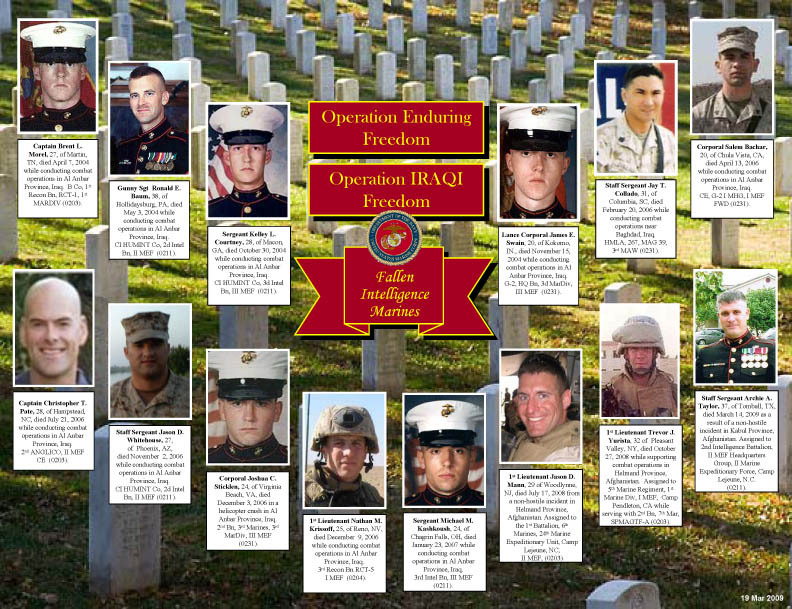 The rally points will be places to reflect upon the sacrifices past and present Marines make to protect our Nation. Adobe Acrobat Reader is required to read some articles.